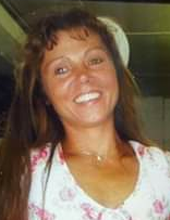 Laura Ann Bowles, 48 of Cumberland; Is survived by her Son, Christopher Karst (Emily), Father, Tom Karst (Linda) of Ruther Glen; four brothers, Michael R. Karst of NY, Brian E. Karst of NY, Wayne M. Brimmer of Ruther Glen, Jason T. Karst (Jesse) of Clay, NY; three sisters, Lisa M. Panzone (Mike) of Verona, NY, Candy Royce Jones of Oxford, NY and Marquisita M. Julian (Jason) of Fredericksburg, VA; uncle and aunt, Terry and Becky Karst of Verona Beach, NY; two grandchildren, Ella-Marie and Joshua, and one on the way. Family will receive friends on Thursday February 7, 2019 from 2-4 pm. at Bennett & Barden Funeral Home. Graveside service will held at the Family Cemetery in Cumberland, Virginia on Friday February 8, 2019 at 2 pm. To send flowers or a remembrance gift to the family of Laura Ann Bowles, please visit our Tribute Store. "Email Address" would like to share the life celebration of Laura Ann Bowles. Click on the "link" to go to share a favorite memory or leave a condolence message for the family.